All prices include: flights, transfers, accommodation, meals, guided activities and cold weather clothing; all as listed. What immediately stood out for me when arriving at the Wilderness Hotel Inari was the spectacular location, literally on the shores of the frozen lake. It is an ideal setting for Aurora hunting as you do not have to venture far to escape light pollution. 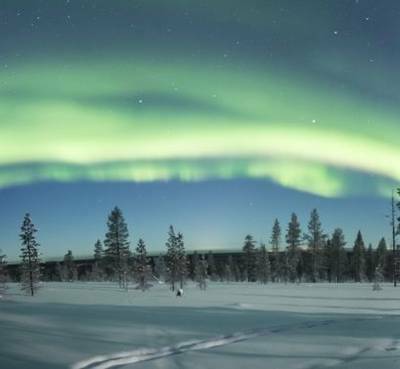 Inari itself is at the heart of Sámi culture and there are many myths and legends surrounding the Northern Lights. Having witnessed an immense display whilst on the edge of a winter wilderness, it was easy to understand why these legends exist. The dancing colours and deafening silence could certainly be considered spiritual. I just wished I’d spent more time watching the lights than fumbling around in my thick gloves trying to take a picture! 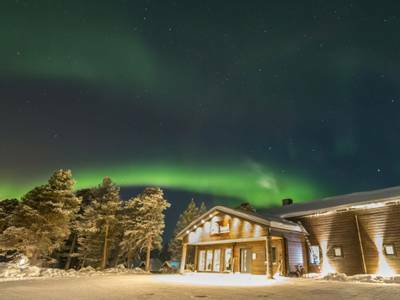 Wilderness Hotel Inari sits on the shores of Lake Inari and shows off breathtaking views, Narnia-esque landscapes and wonderfully dark skies for Northern Lights viewing. 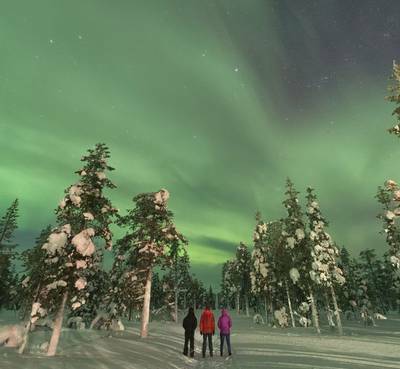 This 4-night break includes a range of Aurora activities as well as popular winter experiences such as snowshoeing and dog sledding. 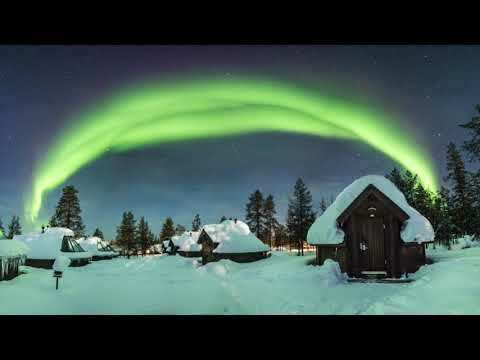 Lake Inari is a mystical and spiritual place, particularly for the indigenous Sámi people. 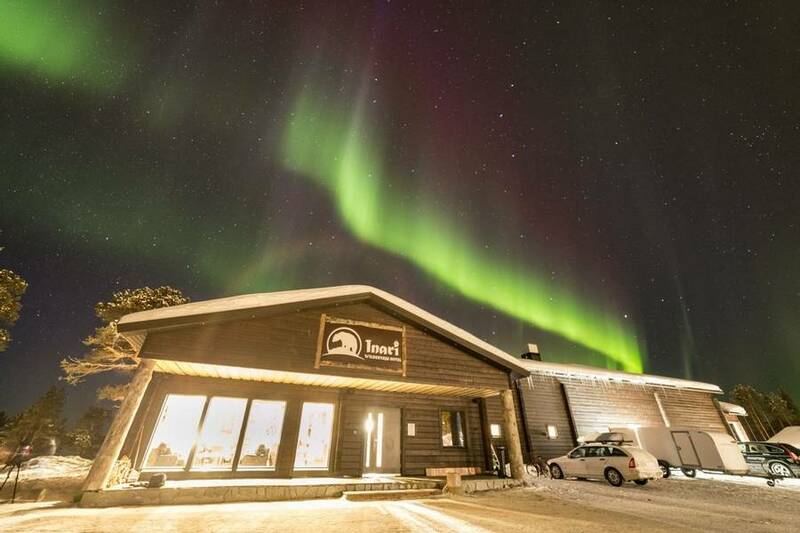 Wilderness Hotel Inari is located on its shores, in the very far north of Finland, and it is no surprise that some otherworldly Northern Lights displays have been witnessed here which have contributed to the legends and myths surrounding the Aurora. Scientifically speaking the location is ideal. 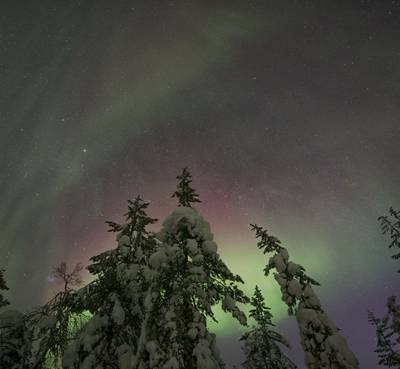 It is 250km above the Arctic Circle and the remote location ensures that there is very little light pollution. The lake freezes in winter and the vast outlook offers unobstructed views of the northern sky. 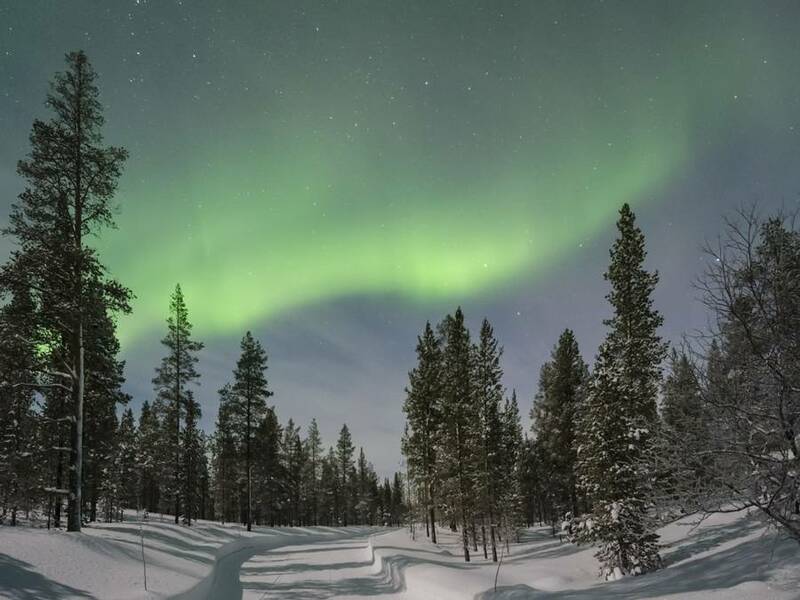 These conditions contribute to spectacular Auroral displays and we have made sure to include dedicated hunting opportunities with local and knowledgeable guides. 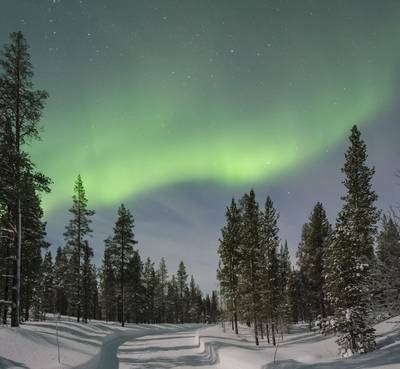 During your holiday you will hunt the Northern Lights from the cosy warmth of a minibus or car, enjoy a thrilling snowmobile chase and visit a strategically placed Aurora camp, which is located on the southern shores of the lake. 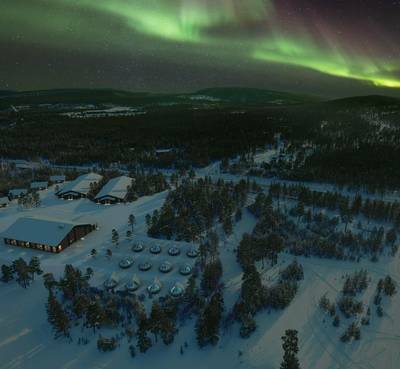 No trip to Lapland would be complete without exploring the pristine winter landscapes which surround the hotel. 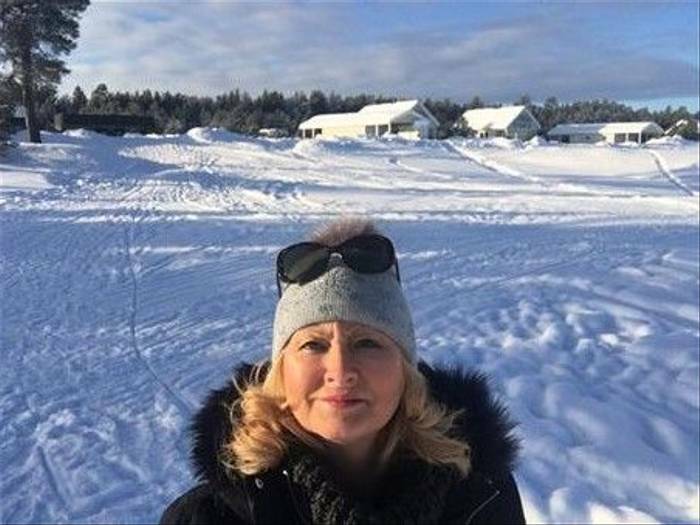 Most of us have only seen snow like this on television, but in reality, nothing can prepare you for the crispness of the air and the magnificent sea of white which stretches out on the frozen lake. This picture-perfect, winter backdrop is an ideal setting for a host of our most popular winter activities. 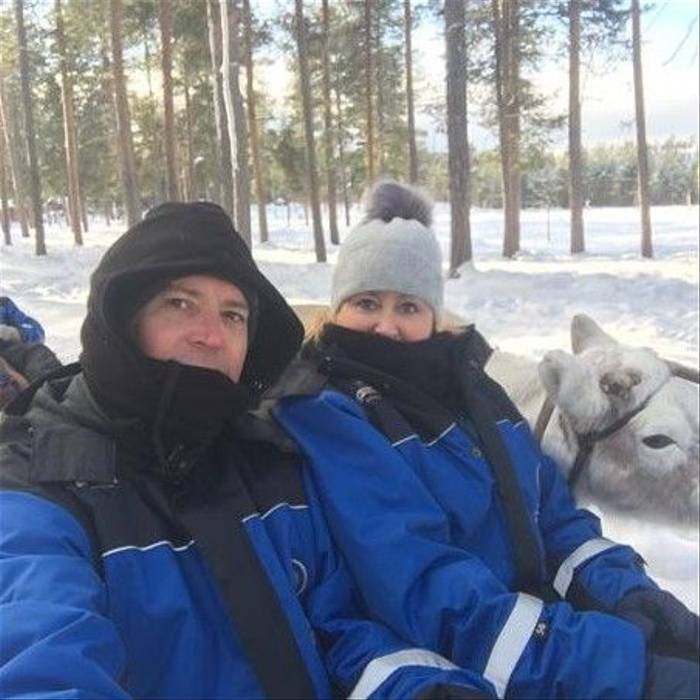 Your daytime activities include a combination day where you visit a local reindeer farm and then drive via snowmobile to the frozen lake for some ice fishing. You will also have the opportunity to immerse yourself in the pristine winter environment with a snowshoe hike into the snow-covered forest. 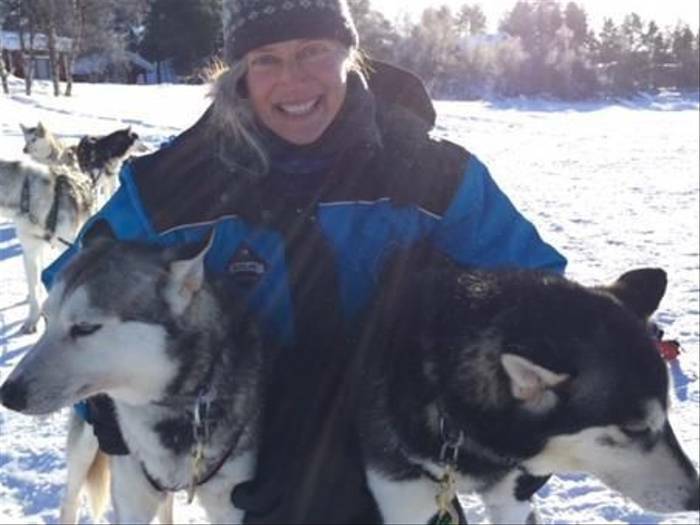 Sled dogs are synonymous with this region and a safari is one of those bucket list activities which never fails to blow our clients’ minds and your dog sledding adventure is sure to be a holiday highlight. On arrival at Ivalo Airport, you will be met by your driver and transferred to the Wilderness Hotel Inari. It is likely to be dark when you arrive so keep an eye out for any flickers of light en-route! Following check-in, you will have the opportunity to settle into your new surroundings before enjoying an evening meal in the restaurant. Cold weather clothing will be distributed either this evening or in the morning. The remainder of the evening is yours to spend how you wish. 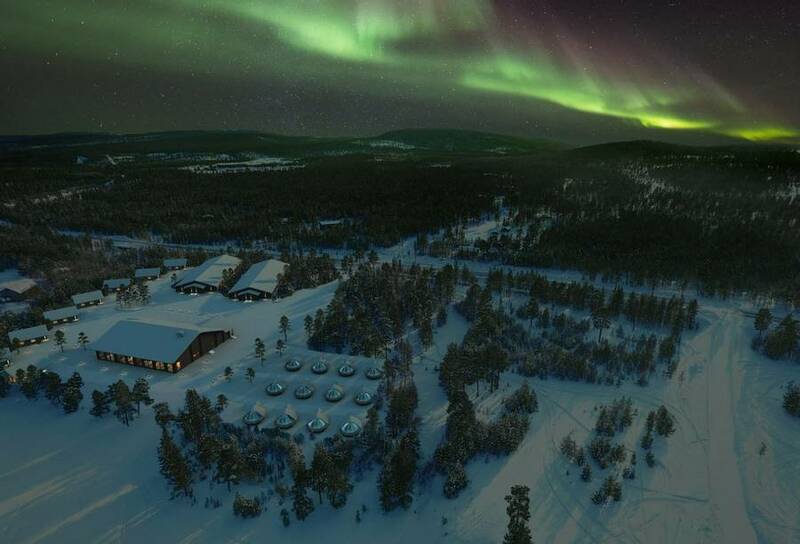 The location of the hotel, close to the lake, is ideal for a short stroll and given that there is very little light pollution you may be lucky enough to be welcomed to Lapland by an Auroral display. 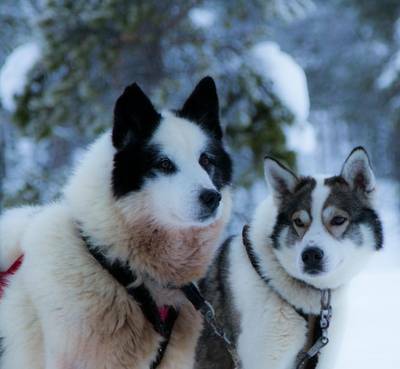 Dog sledding is one of our guests’ favourite activities, not least because of the dogs themselves, but also for the experience of crossing a pristine winter landscape some 250km north of the Arctic Circle in such a time-honoured fashion. Today will be provided with a full safety briefing, as well as tuition on how to drive the sled before you meet the dogs. If you have a dog and have experienced their excitement when you return from work, multiply it by ten and you may begin to understand the enthusiasm of a sled dog when you arrive for the safari. After the sled’s anchor is released, the dogs will soon settle into a comfortable pace. 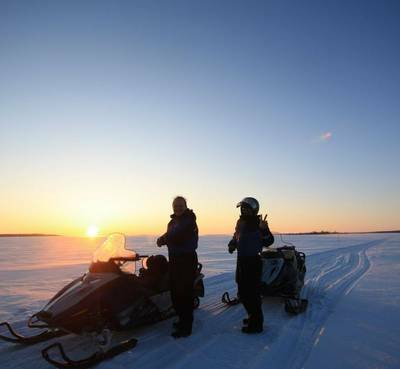 Travelling two per sled, with one person driving and one-person sitting as a passenger, you can simply admire the serene and silent winter landscapes as they unfold before you. You can then swap over at the halfway point. 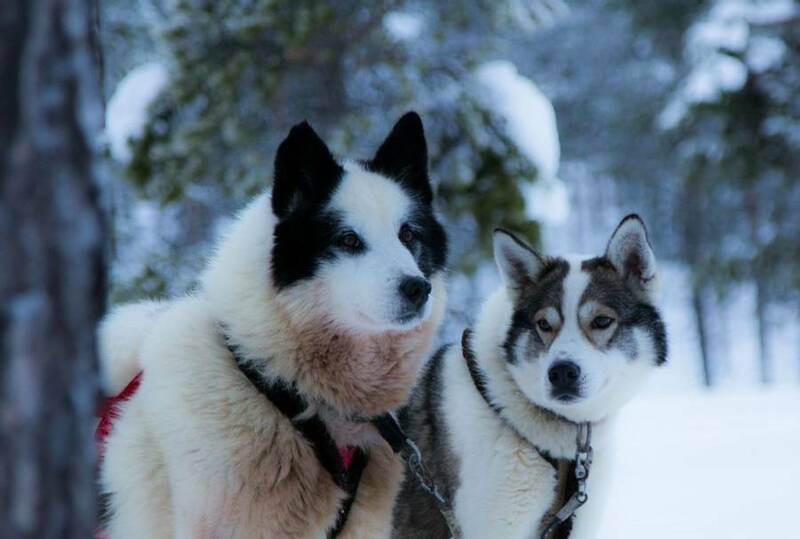 The safari will last approximately 1.5 to 2 hours including some time at the end for you to meet with the dogs and mushers and take some photographs. Lunch will be served at the hotel either before or after the safari in the hotel restaurant. You’ll have some free time to relax during the day before dinner at the hotel. This will be followed by your first Aurora hunt with an experienced, local guide. Your inaugural hunt for this natural light show will be in the warmth of a car or minibus. This allows you to cover greater distances and hopefully outrun any localised cloud cover. 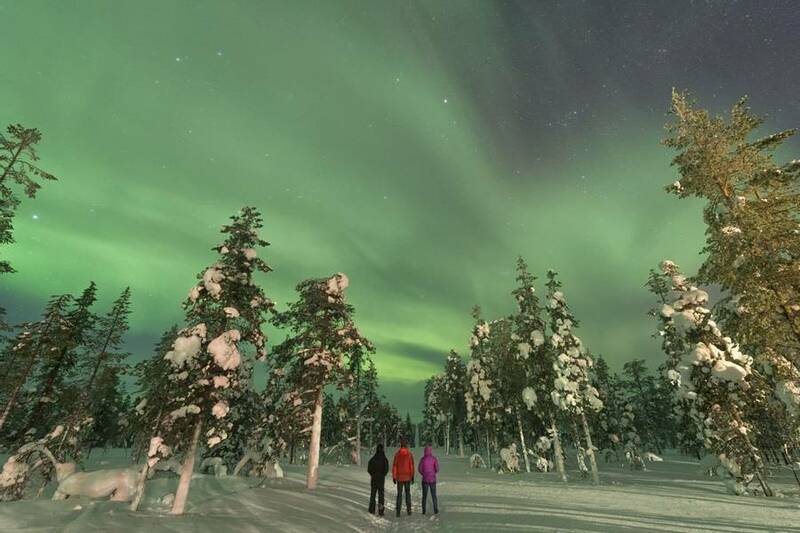 Inari has a fantastic Northern Lights record, so keep an eye out for any flickers of green in the night sky. Enjoy breakfast before getting into your cold weather clothing for another exciting day of winter fun. 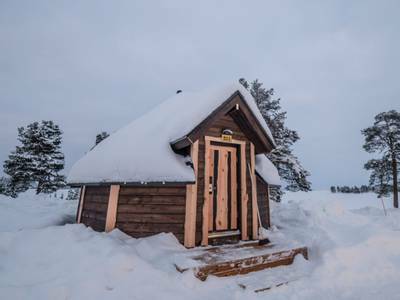 Your first tour of the day will combine two very traditional Lapland activities as you visit a local reindeer farm before trying your hand at ice fishing. 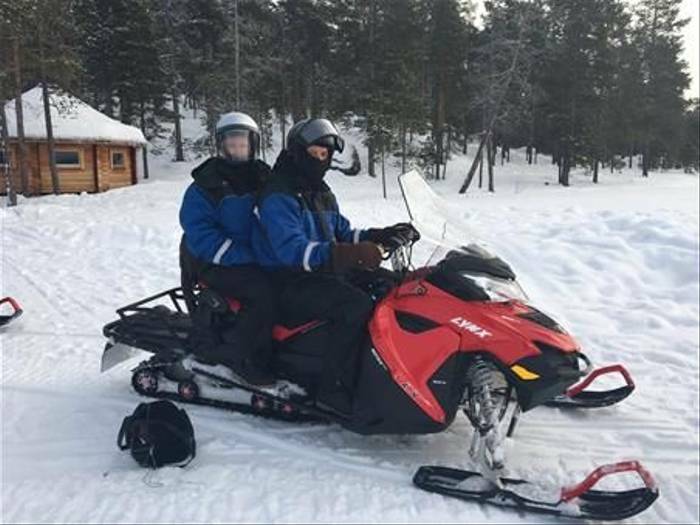 To begin, you will enjoy a lesson in snowmobiling, which is perhaps the most effective mode of transport in this part of the world. You will then follow your guide as he leads you towards the reindeer farm. You will travel two people per machine and you must be 18 years and over and hold a full driving licence to drive a snowmobile. Once at the farm, your local guide will give you an insight into the fascinating Sámi art of reindeer husbandry. 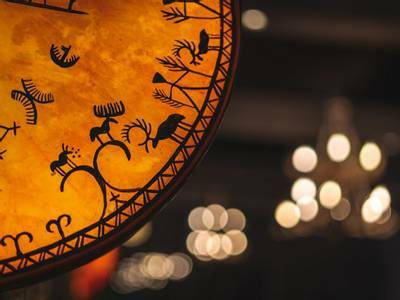 Reindeer are synonymous with Lapland and they have contributed to the survival of the indigenous Sámi people during the long Arctic winters for generations. The tour of the farm will also include a short reindeer safari. Another Sámi tradition, which is essential to survival north of the Arctic Circle, is ice fishing. During the long winters, the lakes freeze. One of the main sources of sustenance for the Sámi people is fish, and therefore they developed a technique for drilling holes into the ice and fishing in the icy waters below. Your guide will provide you with instructions and equipment and if you are lucky enough to catch anything, it will be cooked over an open fire, contributing to your lunch which is included. 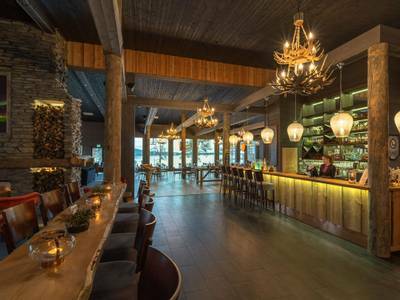 During the evening you will enjoy a meal in the restaurant before embarking on a second hunt for the Aurora. 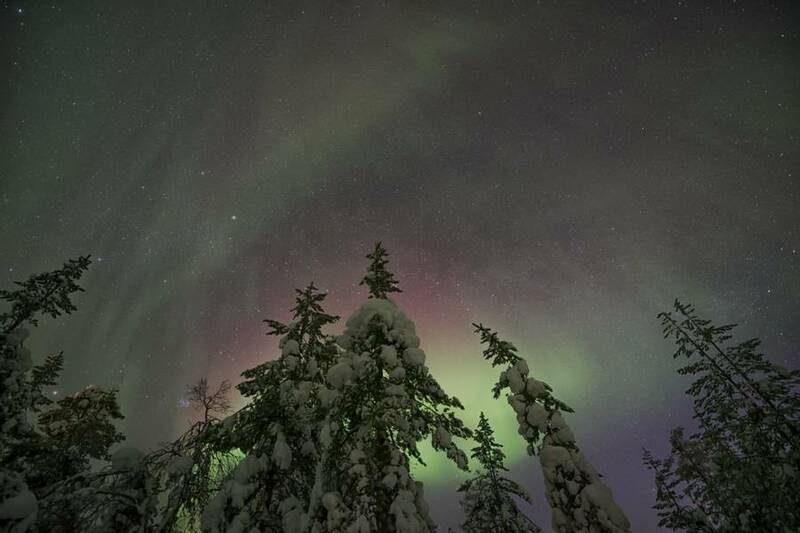 Lake Inari is an ideal location for Aurora hunting. It is fairly isolated and there is very little light pollution. The expansive frozen lake offers unobstructed views of the night sky and it is at the heart of the Aurora Zone. 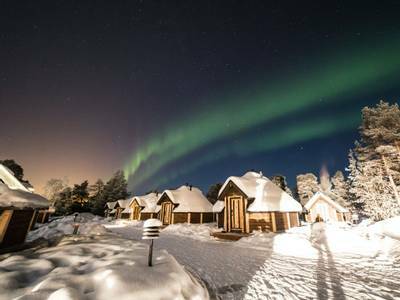 Naturally, it has a fantastic Northern Lights record and our expert guides have various Aurora camps which are set up on the lake's shores. Tonight, you will visit one these. Keep your eyes directed towards the night sky and search for any flickers of colour. No two displays are the same, but either way, it can be mind-blowing and entirely otherworldly. Hot drinks are included and you will travel to the camp on a sled pulled by your guide’s snowmobile. Winter in Lapland is special. The forests are blanketed in deep snow, the air is crisp and fresh and the silence is deafening. Perhaps the best way to experience this is via snowshoe. Snowshoes allow you to venture deeper into the forest and enjoy your surroundings at a more leisurely pace. Despite the cold winter conditions, animals still move within the woods and your local guide will point out tracks. You may also meet some wildlife en-route. This four-hour trip will showcase the very best of a Lappish winter and during the tour, you will enjoy lunch by an open fire. 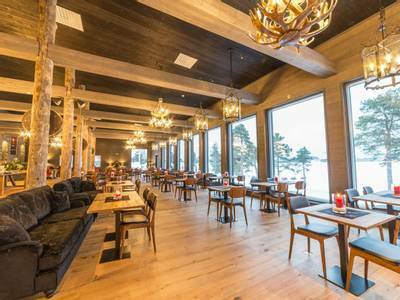 During the evening, you will enjoy dinner in the restaurant before venturing out on your final Aurora hunt. Hunting the lights via snowmobile is a different experience altogether. The darkness seems to add to the thrill of the chase, particularly when you enter the forest and the headlights cut through the trees. Your knowledgeable guide will lead the way and take you to some of the best vantage points. If there is any sign of the Northern Lights, you will be given the signal to stop. You can then simply admire the spectacular view and perhaps try and capture the lights on camera. You will travel two people per snowmobile. 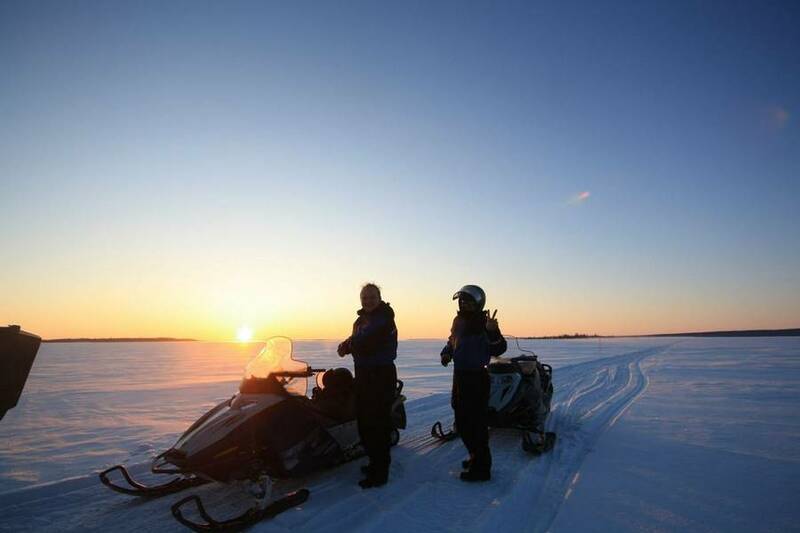 The driver of a snowmobile must hold a full driving licence and be over the age of 18. Following breakfast, it is time to head home but you will have hopefully had an absolutely wonderful winter break in Finnish Lapland, with memories of a special Aurora show. You will be transferred back to the airport in preparation for your flight. 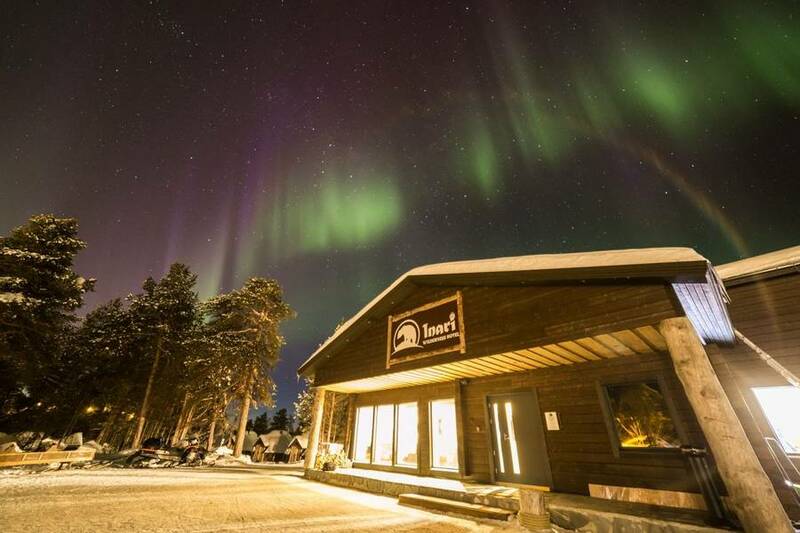 Situated on Lake Inari’s shores, Wilderness Hotel Inari is one of the most spectacular destinations we feature. 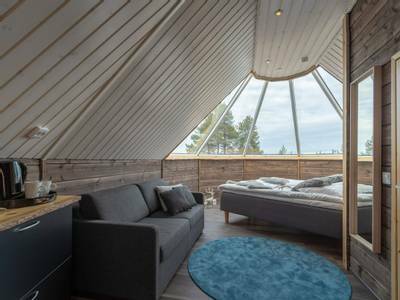 Offering excellent levels of comfort and some serious ‘wow factor’, it is the latest addition to the Wilderness Hotels owned by our good friends Jouko and Mari Lappalianen. 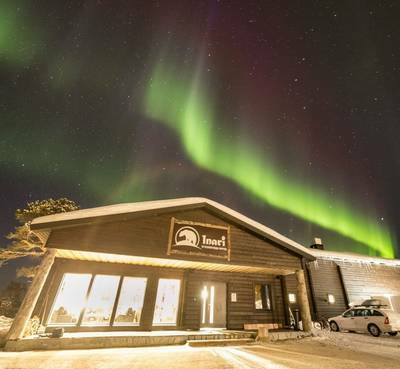 Importantly it is also slap, bang in the middle of the world’s best Aurora hunting territory and the hotel has implemented some innovative Northern Lights features to help maximise your viewing potential. 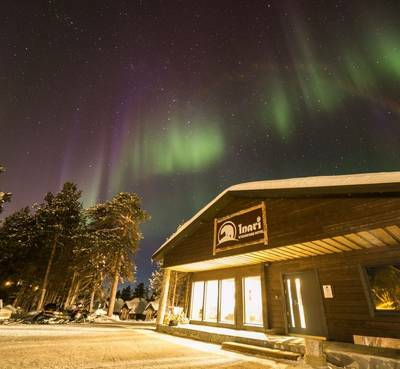 Wilderness Hotel Inari is ideally located around 40 minutes’ drive from Ivalo Airport and just five minutes from Inari Village, which is the centre of Sámi culture in Finland. 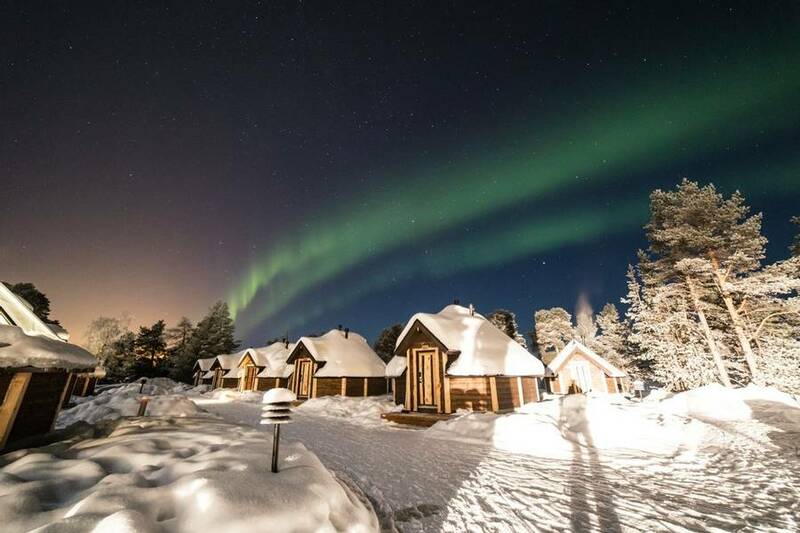 There is a variety of accommodation on offer here, including cabins, Aurora cabins and hotel rooms, all of which are separate to (but within very easy reach of), the central restaurant building. The hotel provides modern accommodation with décor which combines both comfort and charm. A huge amount of thought has gone into creating this very special place to stay. The focal point of the hotel is the main reception, bar, lounge and restaurant building. There will be gasps of delight from the moment you walk in and are confronted with exceptional views out towards the lake. All meals are served in the restaurant and the quality of the food has been excellent in our experience. A.t lunch and evening meals, an array of fresh salads and a soup is followed by a choice of two main dishes prepared by the chefs. Options will typically include some local flavours as well as international dishes. In the evening these are accompanied by a pudding. Tea, coffee and water are included in your stay and any additional drinks can be added to your bill. The restaurant is beautifully decorated, with local art and woodwork creating a great atmosphere. The fantastic north facing panoramic windows running the length of the room offer views out onto Lake Inari. We certainly expect a few evening meals to be abandoned as the Aurora becomes visible during dinner (the chefs get used to it)! 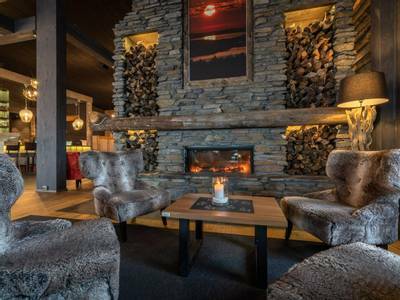 The bar area is fully stocked so you can enjoy a drink with your meal or relax in the lounge area by the roaring fire. Free Wi-Fi is available in the main hotel building and rooms (it is less strong in the Aurora cabins and the log cabins but 3G reception should work on your phone). The crowning 'Northern Lights glory' here is the glass-roofed sauna which is housed by the lake in a modified Aurora Cabin. 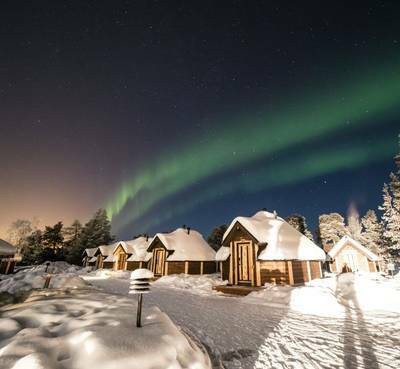 Guests can book the sauna at the reception in hour long slots for private use (free of charge) and so if you strike lucky, you can witness the Northern Lights from inside, which is a very special experience. The bedrooms are located in two separate buildings around 50 metres from the main building. 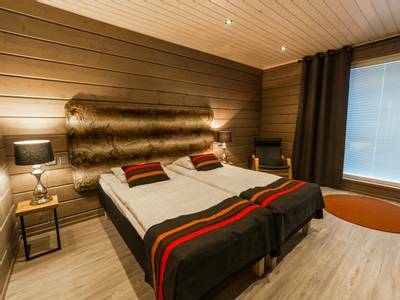 Each room has been decorated in a traditional Arctic style with inspiration taken from the local environment. They are around 30m² and have either a queen-sized bed or twin beds. Coffee and tea making facilities are provided in your room as well as either a comfortable sofa or two armchairs. If you can’t face being detached from the “real world”, the rooms also come with free Wi-Fi. Every bedroom is en-suite and comes complete with hairdryer and toiletries. These rooms are designed for two people to share but a third person can be accommodated on a camp bed or pull-out sofa (supplements apply). 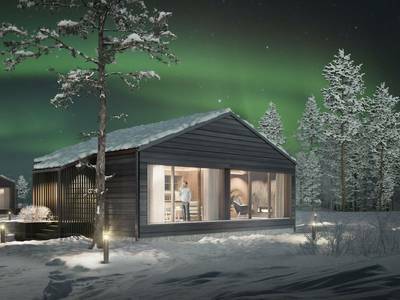 These semi-detached, designer chalets, are a new addition to Inari’s range of impressive accommodation options. 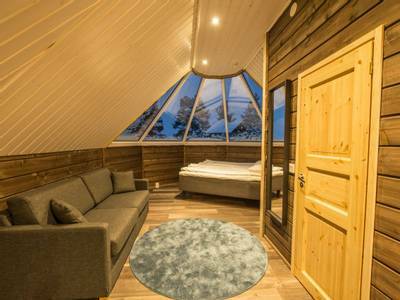 They are designed to offer couples an air of Arctic luxury in their own holiday hideaway. The modern interiors will be sleek and beautifully designed. 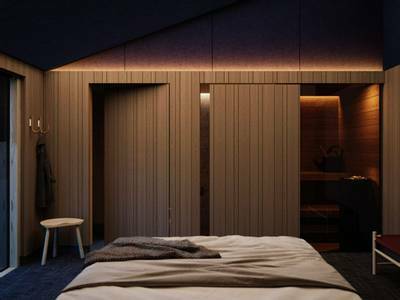 Each will have a bedroom with an en-suite shower, private sauna room and king size bed. 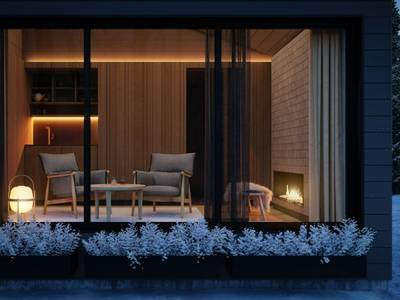 The separate living area will be equipped with a warming log fire, ideal following a day of adventures and the stunning landscape shall be framed by full height windows, offering views towards the lake. 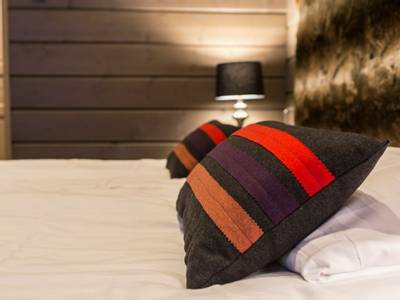 Each will offer a sofa bed which can sleep an additional two people, but we recommend keeping these chalets for just the two of you. The lakeside chalets will be available from December 2019. 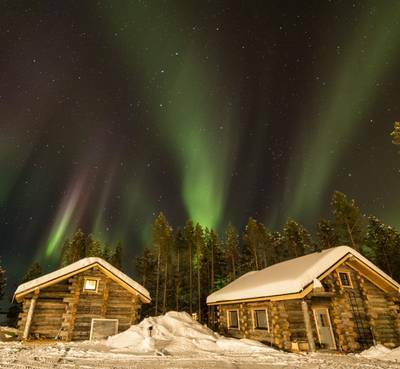 With the potential of seeing the Northern Lights above, you won’t want to take your eyes off the Arctic sky. 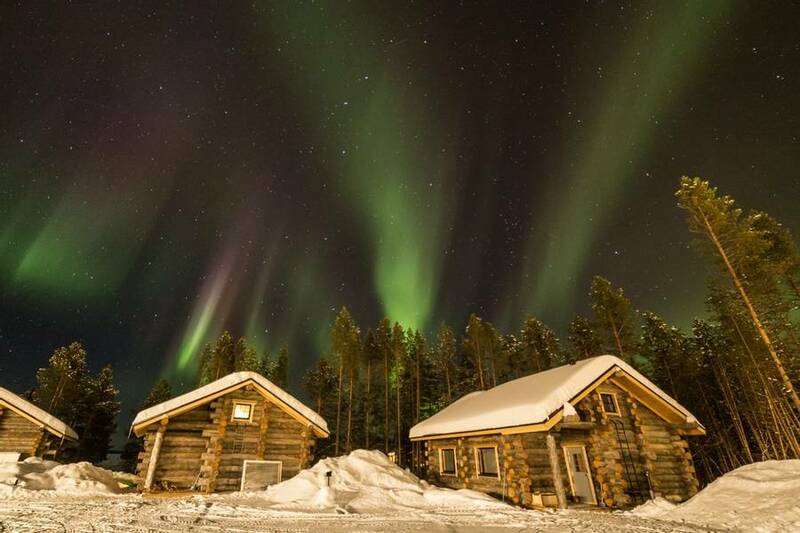 Luckily, with the Wilderness Hotel Inari’s Aurora Cabins, you won’t have to. 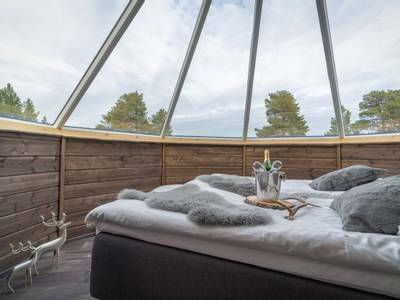 These amazing structures are all equipped with an expansive heated glass roof to give you unobstructed views of the northern skies at all times. Whether you want to lie back in your bed or on the sofa, you can go on the hunt for the Aurora right from the comfort of your accommodation. 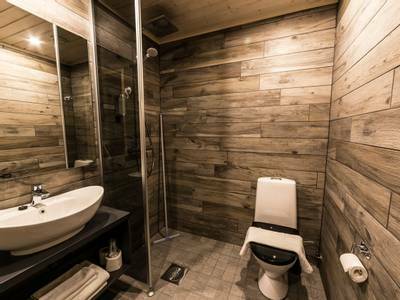 These cosy cabins come with twin beds (which can be pushed together), a sofa or armchairs in the small living area and an ensuite shower room (toiletries and hairdryer are provided). You will also have coffee and tea making facilities. Some of the cabins will also accommodate an extra person on a sofa bed. The cabins are 34m² in size. The WiFi signal isn’t as strong in the cabins so you may need to use the main restaurant, or use the time to switch off! The cabins are between 20 and 50 metres from the main building and some come with a lake view for an extra charge. Please ask one of our Aurora Experts for a quote. 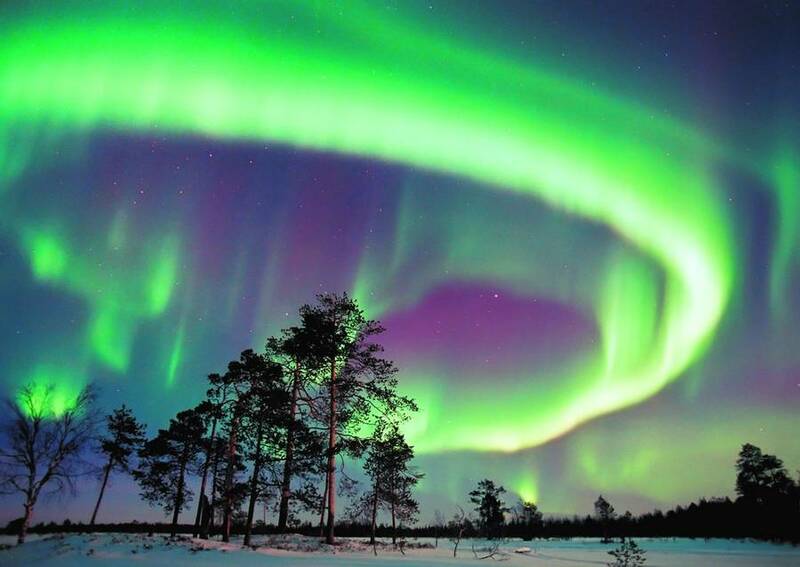 Expertise and knowledge are key to witnessing the Northern Lights. 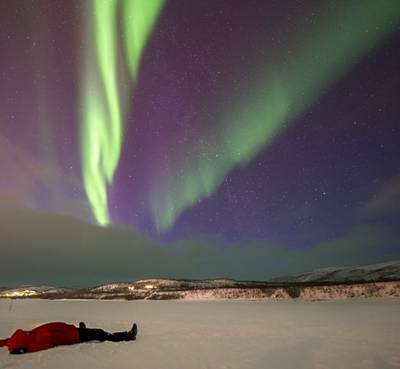 We’ve been running Aurora hunting holidays longer than any company in the UK and with no lead in prices, no hidden costs and more included, we’re confident our tours will come out on top. To secure your holiday for next season, you can make a pre-sale booking and fix the price of your trip at the pre-sale price displayed below. Simply by paying a deposit of £400pp, you will protect yourself from any package price increases. The departure dates and itineraries remain preliminary and we will contact you when the final dates and itineraries are confirmed, you will then have 14 days to decide if you would like to go ahead. If you decide not to travel, we will refund your full deposit payment. We reserve the right to charge supplements where there are significant changes to an itinerary or increases in flight costs. Any non-package rates remain subject to change. Please note: our holiday prices are based on the lowest available airline fares. These fares can sell out quickly and, as a result, prices may increase and supplements may be applicable. We recommend booking at the earliest opportunity to secure the best possible fares and flight times. We always try to provide an approximation of the group size you can expect to be with for the duration of each of our holidays. It may be that you are joined by others for parts of your holiday (such as transfers and particular activities) but the above number reflects those you can normally expect to be with from beginning to end. If group size is something which is particularly important to you, please speak to our Travel Experts and they can suggest the best holidays for you. Tailor-made holiday group sizes will vary for all activities as will the group size for any additional activities you book. Some of our holidays require a minimum number of participants to operate (as listed in the ‘Group Size’ section). If your holiday departure has not yet reached the minimum number, you will be told at the time of booking. In the unlikely event that your chosen date is not guaranteed by nine weeks before your scheduled departure date, we will contact you to discuss the available options as per our booking conditions. The order of activities is always subject to change and guests will be provided with their final itinerary upon arrival. Please note that some of our holidays may incur a single supplement. Please speak to one of our Travel Experts who will provide you with a quotation. We want our holidays to be accessible as they can be and will do our best to accommodate any special requests and requirements where possible. We have a wide range of holidays and destinations and so our travel experts will help find the best holiday for you. In order to give us the best possible chance to do this, we ask that if you or any member of your party has any medical condition or disability which may affect your holiday or has any special requirements, that you tell us at the time of enquiry or booking. You must also promptly advise us if any medical condition or disability which may affect your holiday develops after your booking has been confirmed. You may need to provide a doctor’s note and proof of insurance in some cases as the health and safety of our clients is absolutely paramount. In providing this information you are allowing us to work with our expert local partners to ensure that your whole party can enjoy the holiday. By letting us know in advance we can discreetly work with you to adapt any part of the holiday which may potentially be challenging. Being able to prepare for this in advance makes an incredible difference to what we can offer and minimises any impact on your party and the rest of the group. Unfortunately, if you choose not to share this information with us in advance then it may limit some or all of the itinerary you have booked, and we cannot be held accountable for any additional costs or missed activities resulting from this. Insurance is not included in your holiday, but it is a pre-requisite to travelling with us. You will need to ensure that you have cover for all the activities that you will be participating in during your holiday. It is extremely important that you take out a suitable travel insurance policy at the time of booking. Plans do sometimes change, and you will need this policy should you need to cancel your holiday. If you are struggling to find a suitable policy then details of our preferred provider, who will cover you for all the activities we offer, can be found on our website by clicking here. Please note that this policy is available to EU residents under the age of 75 only. If you have a reduced level of mobility, then please contact our travel experts to discuss the suitability of this holiday in relation to your requirements. We offer a vast choice of holidays which range from 'relaxed' to 'active' so there really is something for everyone and our holidays can be filtered by how active they are. Regardless of the chosen holiday, all activities will include tuition from a beginner's level and no prior experience is assumed. If you are unsure about the physical demands of a particular holiday please contact us and our expert team will be happy to help. See our booking conditions for further information. It is absolutely essential when partaking in any activity that you listen very closely to, and abide by, the instructions provided. If there is anything that you are unsure of during a safety briefing or that you would like to clarify with the guides please make this clear to them immediately before starting the activity. Our guides' word on activities is always final and your safety is their principal concern at all times, please respect their decisions. By following their instructions, your safety and enjoyment during each activity will be greatly enhanced. Additional activities can be booked locally in almost all our destinations. However, as per our booking conditions, we cannot be held responsible for any injury or loss incurred through participation in activities which are booked at your destination outside of our holiday itinerary (see our ‘Terms and Conditions’ for further details). When arranging any such activity please always ensure that safety is your primary concern. In some of our destinations, you can borrow or hire equipment for use in your free time. You do so entirely at your own risk. You must ensure that you are properly prepared, have the necessary equipment and knowledge (maps, etc) and ensure that where applicable, you follow marked routes. We recommend discussing your plans with the local teams who will be able to advise on the most suitable options for you. Always let the reception/guide know where you are planning to go and take a torch and mobile phone (with the hotel/guide’s phone number stored). It is also a good idea to leave your contact number and the time you expect to return to the hotel should the hotel need to contact you. If your trip includes car hire the named driver must have a credit card registered in their name which they can present when they collect their car along with their driving licence, as a deposit will be held on the credit card. Please see your trip dossier for full details. Our clients’ safety is at the centre of everything we do, and our operations team continually assesses and monitors the destinations we feature. We carry out thorough risk assessments and work closely with all of our suppliers to continually follow best practice. For up to date travel advice the UK government offers its Travel Aware website as well as the advice detailed below. On your documentation, we will confirm your flight schedule. Sometimes the flight number, routing and timings might change prior to your departure. If the change is classed as a significant change then we will contact you to discuss this. Please see our booking conditions for details. Flight schedule changes can impact on your pre and post-holiday travel arrangements if these have been booked separately to your holiday. We strongly recommend that you do not book transport (such as trains or transfers), car parking or non-connecting flights to the departure point for your holiday until you have received your final confirmed travel times when your final travel documents are issued. We are not responsible for the effect of any schedule change on your pre or post travel arrangements. We strongly recommend that you do not purchase non-flexible or non-refundable tickets to avoid cancellation and penalty charges. If you have chosen to book your own flights, then you will need to wait until we confirm to you that the holiday departure has met the minimum numbers required to run (if applicable to your chosen holiday). Once the holiday is guaranteed to run, you will be informed and you can then make your arrangements. If transfers are included in your holiday, please ensure that any potential flights will be met by our standard transfers (speak to one of our Travel Experts for advice) otherwise private transfer supplements may be applicable. Once your flights are booked, please send us a copy of your detailed flight itinerary. Please be aware that most tickets are non-refundable in the case of cancellation. For this reason, we strongly advise you check the rules of the ticket and check the limitations of your cancellation insurance before booking. We cannot be held liable, in the unlikely eventuality that we should be forced to cancel or amend your trip, for losses incurred relating to any flight booking you have made. We receive all updates from the Foreign and Commonwealth Office (FCO) with regards to travel advice and we always ensure that we follow this advice in our operations. The FCO issues travel advisories for countries based on a very wide range of factors. They may provide notification about things as simple as a football match and crowds, or they may go so far as to advise against all travel to a region. We ask all our clients to refer to the relevant Travel Advice by Country for the destinations they are visiting in order to make an informed decision on the safety of the destination based on the details provided. It also provides vital information regarding entry requirements, embassy information, local laws and customs as well as specific safety and health. Guests should take responsibility for keeping themselves up to date with this advice. Please also ensure that, if you are transiting through another country, you have read the advice and meet the entry requirements for that destination too. If the FCO deems that there is an unacceptable level of risk for UK citizens then, together with the government, they may issue an advisory against all travel to a region or country. If such an advisory is published, then we will act accordingly, and this may require the cancellation, curtailment or amendment of a holiday itinerary. These decisions are made on the basis of ensuring our clients’ safety and will affect all clients on the holiday, regardless of their nationality. If one of our local experts suggests an amendment due to a situation which develops locally then we may also take the decision to amend an itinerary appropriately. If we have to cancel your holiday prior to departure you will be offered the option of an alternative trip (where any price difference will either be refunded to or covered by you) or a full refund of the monies paid. If we have to curtail a holiday, then you will be refunded for any costs for the elements we have been unable to deliver, where we have been able to secure a refund from our suppliers. If we must reroute a holiday, then any basis for refund is determined on a case by case basis and dependent on whether the central holiday experience was provided or not. 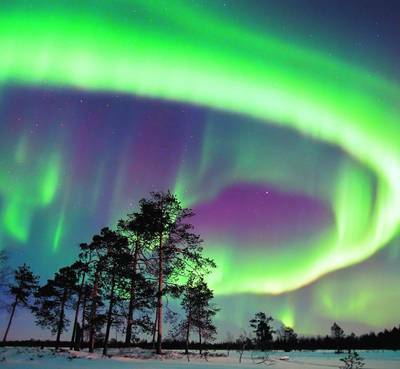 During your stay, you will be supplied with an Aurora alert. This is typically a mobile phone system to which the staff will send a text should the Northern Lights be sighted. The alerts generally operate until 1 am but it is best to confirm with your guide as times may vary. 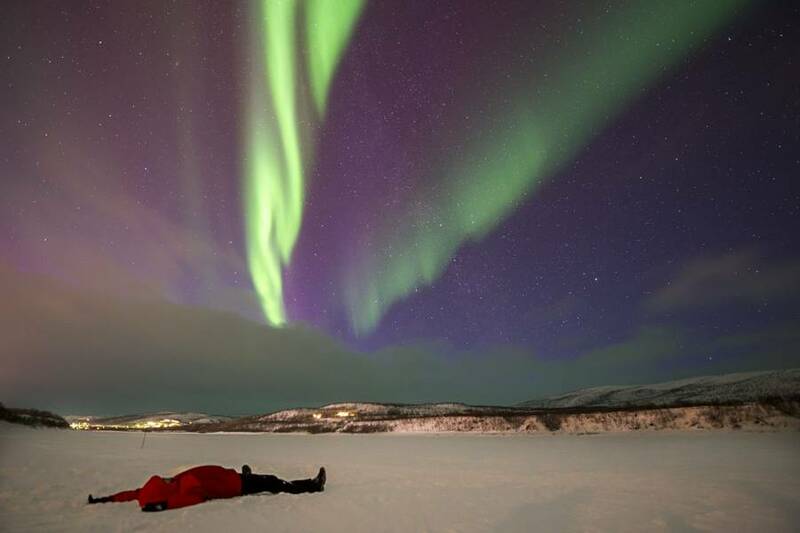 The alerts are designed as an aid to Aurora hunting and, although every effort will be made to issue an alert should the conditions seem conducive to a display, things can change very quickly so you should not rely solely on them and should also keep an eye on the sky yourself. The minimum age for participation in our itinerary is 12 years old, however, for some activities and transfers, you may be joined by other guests and this may include some of a younger age than stated. Any younger participants will be fully supervised and the guides will ensure that their participation takes place only if the activities will be unaffected. Very few hotels have a minimum age and there may be families staying at them with younger children, especially during the holiday periods. We do have some itineraries and destinations which are guaranteed to be adult-only, so if this is important to you please speak to one of our Travel Experts. To drive a snowmobile, you must have a full driving licence and be over 18 years old. Read more enjoyable holiday without any worries. The guides were very knowledgable and attentive to our needs. The hotel staff were very friendly and helpful. The warm clothing provided was essential to keep us warm. We enjoyed the relaxed atmosphere in the hotel and the running buffet worked very well.I also felt there was the right amount of time to ourselves to explore Inari etc and it was always so nice to come back to a warm room after our activities.All the guides were really passionate and knowledgable which made each activity so interesting and enjoyable. They were all fantastic, but for us the snowmobile Aurora hunt in our final night was fantastic due to the amazing display of lights we saw. Miko the guide was brilliant, he was enthusiastic and knowledgeable, he really made the trip a great memorable experience. Read more hugely knowledgeable and genuinely enthusiastic about his native countryside. We really enjoyed our Inari Wilderness experience. I found the enthusiasm and knowledge of the activity guides particularly positive. This was an excellent holiday. The guides were very enthusiastic and knew their stuff. They were very kind and helpful as well. The staff at the hotel were very friendly and helpful. We were incredibly lucky to see the Northern Lights on 3 nights with a phenomenal display on our final night. It was everything we had hoped for. Read more such a beautiful place. Would highly recommend this break to anyone and have been doing so since returning - well done! Read more personable and friendly. I just wish I could have spent all day with the dogs - feeding them, getting them ready etc. Some comments I read on Trip Advisor said that the food was limited and not to their tastes, but I just want to say that I thought it was excellent! Buffet style is perfect for this sort of holiday and I couldn't fault any of the food. I tried everything on offer too! Hats off to the chefs. Also, the log cabin was amazing - boiling hot, but that was just what we needed! 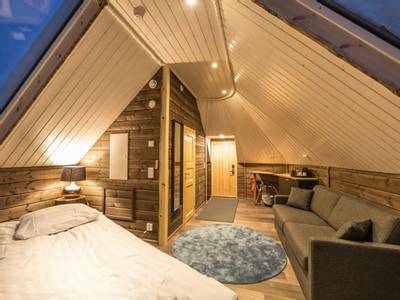 We had a little sneaky peek in the Aurora Cabins too and would definitely recommend the log cabin over those. The log cabins have huge windows overlooking the lake so you get just as good of a view if you have all the lights off. We actually rearranged our furniture as the sofa had the back to the window and was pointing at the TV when we arrived. We promptly turned it around to look out the big window. Who watches TV on these trips?! Crazy! Absolutely loved every second of this holiday and I'm gutted to be home. I couldn't recommend it enough. Thank you! We loved both the huskies and the snowmobiling at night through the forest especially as we had a great Northern Light showing that night too. All the staff at the hotel were excellent especially Nora who’s enthusiasm and knowledge was exceptional. Very well organised, action packed holiday. The hotel is excellent and staff very friendly. Equipment was really good. Loved the food. Hotel has a great sauna with a view of the lake. A good place to do independent walks around the lake and into the village. Couldn't fault anything. Hotel was great. Staff friendly and helpful, food very tasty and rooms clean and warm. Snow suits and boots excellent. Activity guides were brilliant very knowledgeable and informative. Activities were great fun there wasn't anything I didn't enjoy.. Please let us know Where whould you like to go ? Please let us know Departure Date? Please let us know Return Date ? No. of adults* Please let us know No. of adults ? No. of children Please let us know No. of children? How did you hear about The Aurora Zone? To speak to a Travel Expert, please email info@theaurorazone.com your name and telephone number and someone will be in touch with you shortly. Happy Easter from The Aurora Zone team!